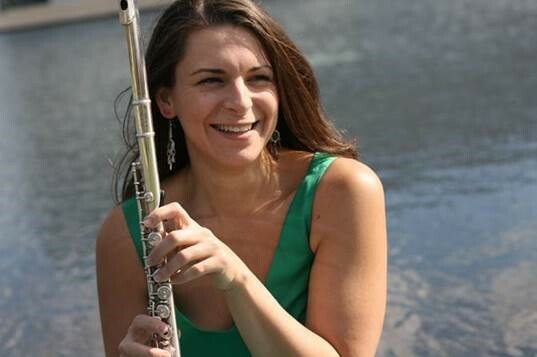 Sophia Tegart, WSU clinical assistant professor of flute, performed two world premieres on April 7 at the Women Composers Festival of Hartford, with bassoonist Helena Spencer, University of North Carolina-Wilmington. The festival, held at Trinity College in Hartford, attracts composers and performers internationally every year. The premiered works for flute and bassoon were composed by Jessica Rudman, a Connecticut-based composer whose music has been performed across the United States and abroad. The composition was part of a larger project based on “musical ekphrasis,” or musical representations of poetry and art. Rudman’s works were inspired by the twentieth-century poet Anne Sexton’s book, Transformations. A retelling of Grimm’s fairy tales, Transformations contains themes of feminism, sexual identity, and gender roles. Sophia Tegart, Yamaha Performing Artist and clinical assistant professor, Washington State University School of Music, 509-335-3970.